Rommel was well respected by his men and enemies. He was a general that had “my men first, then me” kind of attitude. There were sometimes that he preferred to retreat, losing ground and resources, than the lives of his men, hoping he would have the chance to regroup and strike with more force. 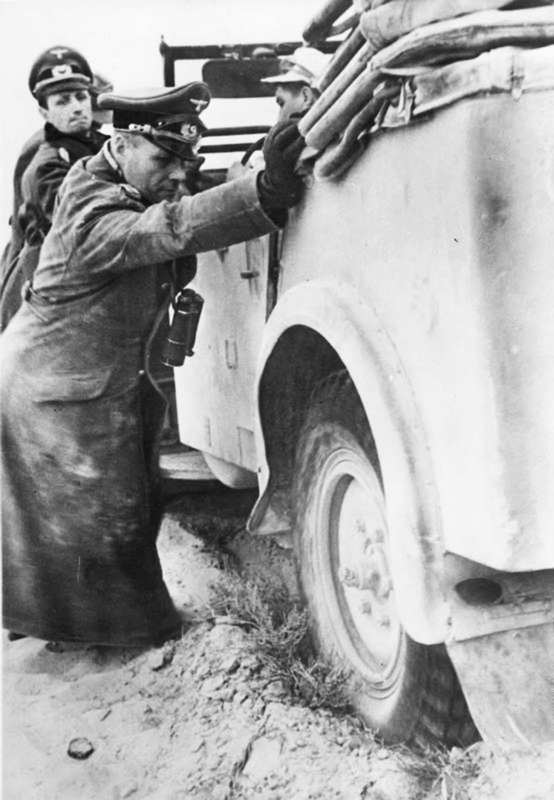 Rommel also ignored orders, from Hitler himself, to kill Jewish soldiers, civilians, and captured commandos. Overall he treated war as a battle of wits and skill, hoping to out play his enemies and have them surrender, than trying to cause mass casualties and blood shed. Rommel was a German soldier, not a Nazi one, and the distinction is incredibly important. A very inspiring man from a dark point in history. During the height of Rommel’s success in North Africa, British Prime Minister Winston Churchill sang his praises before the House of Commons. “We have a very daring and skillful opponent against us”, Churchill declared, “and, may I say across the havoc of war, a great general”. George Patton, Bernard Montgomery and other top Allied generals likewise expressed their respect for him, and Rommel responded in kind, saying of Patton that “we saw the most astonishing achievement in mobile warfare”, and that “Montgomery never made a serious strategic mistake”. Unlike other prominent World War II-era Germans, Rommel has escaped mass vilification. In fact, his name still graces two military bases and several streets in Germany, and a monument in his hometown praises him as “chivalrous”, “brave” and a “victim of tyranny”. Yet detractors remain, including a German historian who recently called him a “deeply convinced Nazi” and “an anti-Semite” who used North African Jews as slave laborers. At the very least, most historians agree, Rommel likely cared more for his career than he did about Nazi atrocities.